Texas native Anna Maria Farías is the new Assistant Secretary for Fair Housing and Equal Opportunity at the U.S. Department of Housing and Urban Development (HUD). Following her confirmation last week by the U.S. Senate, HUD Secretary Ben Carson today administered the oath of office to Farías who will now lead the Department's work to eliminate housing discrimination, promote economic opportunity, and achieve diverse, inclusive communities. The number of very poor unsubsidized families struggling to pay their monthly rent and who may also be living in substandard housing increased between 2013 and 2015, according to a new report released today by the U.S. Department of Housing and Urban Development. HUD reports that in 2015, 8.3 million very low-income unassisted families paid more than half their monthly income for rent, lived in severely substandard housing, or both. 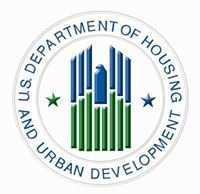 The U.S. Department of Housing and Urban Development (HUD) announced today it is making $38 million available to fight housing discrimination through the Department’s Fair Housing Initiatives Program (FHIP). The grants offered through three FHIP funding notices will support a variety of critical fair housing activities, including fair housing testing in the rental and sales market, public education efforts, capacity building, and education and outreach activities. U.S. Housing and Urban Development (HUD) Secretary Ben Carson today announced an additional $178.5 million to help hard-hit areas in several states recover from severe flooding that occurred in 2015 and 2016. The grants announced today are provided through HUD’s Community Development Block Grant – Disaster Recovery (CDBG-DR) Program. The U.S. Department of Housing and Urban Development (HUD) and the U.S. Census Bureau jointly announced the following new residential construction statistics for June 2017. For years, dozens of historic rowhouses in an East Baltimore neighborhood sat vacant, boarded up and crumbling from neglect while nearby families were in need of affordable housing. Then, a $9.3 million redevelopment project rehabilitated 32 vacant rowhouses into beautiful affordable housing homes complete with a coffee shop and a workforce development center inside two mixed-use buildings. Me The United States and Japan face the common challenges associated with an aging population, and both nations are exploring ways to expand housing opportunities to allow seniors to remain in their own homes and 'age in place.' Today, the U.S. Department of Housing and Urban Development (HUD) and Japan formally agreed to work cooperatively on researching innovated approaches to housing both nation's vulnerable senior population. Me The U.S. Department of Housing and Urban Development (HUD) today awarded more than $50 million in housing counseling grants to hundreds of national, regional and local organizations to help families and individuals with their housing needs and to prevent future foreclosures. HUD’s housing counseling grants and the additional funding they leverage will assist more than 1.4 million households find housing, make more informed housing choices, or keep their current homes. In commemoration of Father’s Day 2017,the U.S. Department of Housing and Urban Development (HUD) is joining with communities throughout the countryto celebrate fatherhood and family through HUD’s National Father’s Day Initiative. The U.S. Department of Housing and Urban Development (HUD) announced today an agreement between a Nevada fair housing organization and the owner and manager of four apartment complexes in Reno, Nevada. 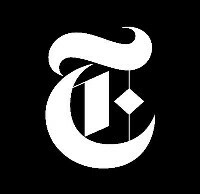 The agreement settles allegations of housing discrimination against prospective tenants with disabilities who require assistance animals.